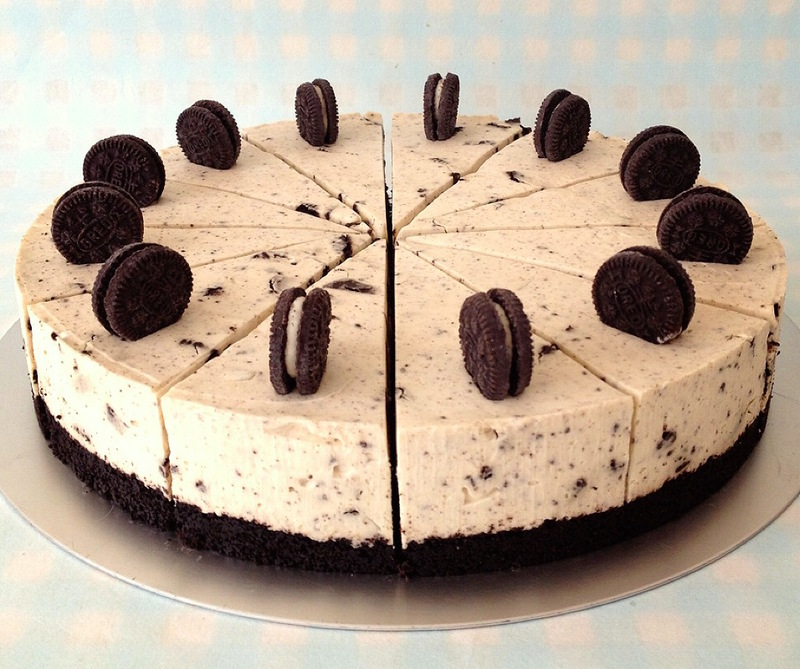 How awesome would it be if you could indulge in a cheesecake without taking in those extra calories. I would like to thank my mom for teaching me this recipe so that I can go in for guilt free indulgence. I tried making cheesecakes using seasonal fruits, different types of chocolates, but Oreo Cheesecake is my personal favorite. With every person having their own personal favorite, I can’t guarantee that this recipe is “Perfect”. But what I can guarantee is that you will fall in love with this sinful delight. Less of effort but more of rich texture, comfort and flavors will entice you have another spoon of this sinful pleasure. While I was living in San Francisco, my husband made sure that our home was near the renowned food chain ‘The Cheesecake Factory’ so that I could stroll and try their different cheesecakes whenever I craved for one. Nothing can satiate your tummy when you really crave for a cheesecake. This is when I realized that why not try my mom’s recipe and eat home made cheesecake whenever I wish to. Less calories and more fun – a perfect treat to my palate and tummy! 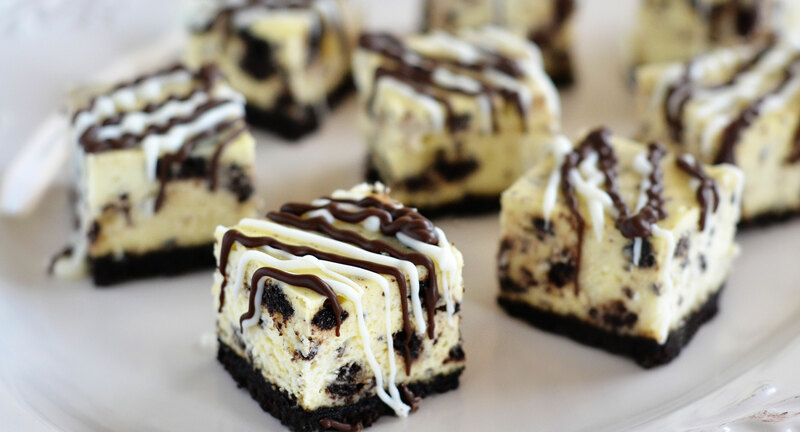 Note: In the recipe given below, you can choose to between dark chocolate to get a brown cheesecake or use white chocolate to get a white cheesecake. The quantities and the method still remain the same. Take 1 packet of Oreo biscuit and take out all the cream. Crush the crusty part in the food processor to get a coarse texture. Combine the crushed biscuit with melted butter and put it in the bottom of the Borosil pan (or any other bowl in which you want to set your cheesecake). This mixture will form the crust of the cheesecake. Microwave the bowl for 40 – 45 seconds. Soak gelatin in cold water and stir to avoid forming lumps. Put the soaked gelatin bowl on top of warm water and stir. Melt chocolate using double boiler method. 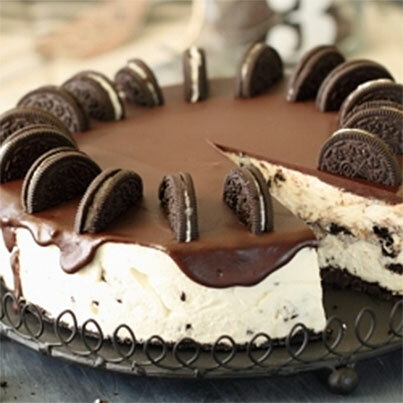 Put cheena, melted chocolate, milkmaid (condensed milk), gelatin, vanilla essence and the cream of the 1 packet Oreo biscuit into the food processor and combine until it forms a smooth liquid paste. You can put big chunks of remaining half packet of Oreo biscuit in this liquid paste for crunch texture and look. Put this liquid on top of the crust formed earlier and freeze it for 15 minutes. Then place it in the refrigerator to set properly for 2 hours. You can top the cheesecake with some whipped cream or serve whipped cream with a slice of the cheesecake. Your cheesecake is ready. You can try setting it in individual mould too or even put a popsicle stick to give a fun element to the cheesecake. Enjoy and share your experience with Plate And Palate. It’s definitely worth a little bit of effort. Heyy Ruchika…as u already very well know..this one is my personal favourite…!!! I have already made it twice and it has turned out absolutely amazing 🙂 :)everyone who got the privilege of tasting this delectable yummylicious dessert cant stop praising it!! !